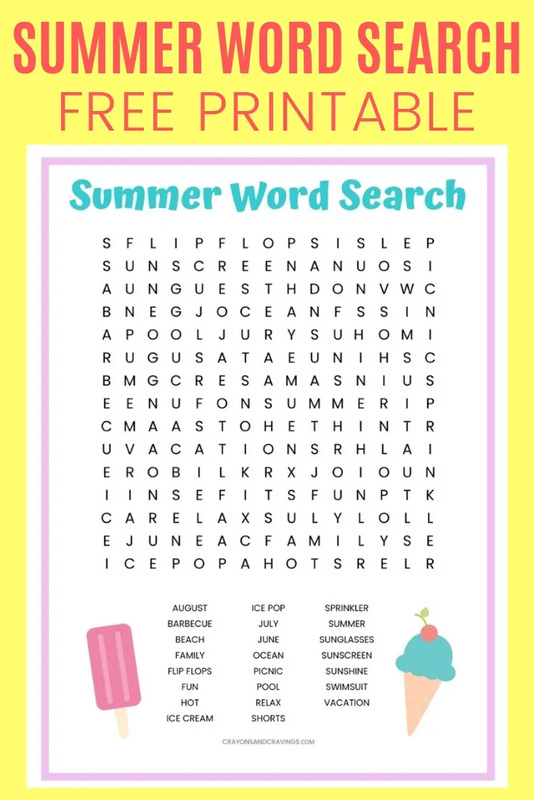 Free Summer word search printable worksheet with 23 Summer themed vocabulary words. Perfect for the classroom or as a fun seasonal activity at home. Word search puzzles are a great way for children to have fun while learning and exercising their brains. They work to increase vocabulary, reinforce spelling skills, and improve pattern recognition. What's not to love about that? Get more free printable word searches here. 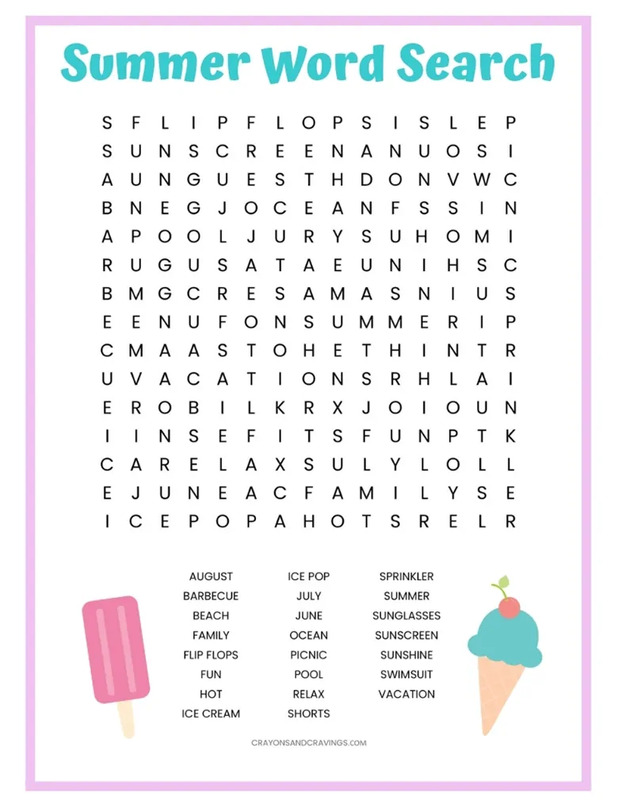 Today I have a fun Summer word search printable to share. This word find would be perfect for teachers to hand out in the classroom as a fun activity for the class before Summer break. With 23 summer inspired words to find, this is a rather challenging word search puzzle. Words can be found going horizontally, vertically, or diagonally. I hope that you and the kids enjoy this fun Summer activity.